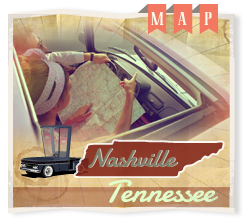 Advantage Plumbing offers Nashville and its surrounding areas a full service residential and commercial plumbing company. It doesn’t matter if you are starting out with new construction, just wanting a renovation, or repairing/replacing fixtures our technicians are here to help you determine what is best for your property and wallet. Your kitchen serves as grand central of your home. From prepearing meals, doing homework, or visiting over a cup of coffee you spend lot of time in your kitchen. Advantage Plumbing is here to help you create the kitchen of your dreams or even fix that annoying faucet leak. Our technicians can replace or repair your faucets, replace your garbage disposal, install the water line for your ice maker, install a gas line for your new stove, or replace your sink. We are always here to help with any installation or repair. Also we offer drain cleaning and clearing. If your sink is draining slow or the garbage disposal is clogged we can get your drains flowing in no time. Your bathrooms tend to be the hardest working spaces in your home. Think about how many times a day a single toilet flushes. Our bathrooms take alot of abuse from the average family. Due to the demand it is not uncommon to develope a leaky faucet or even a clogged toilet. A running toilet can use 200 gallons of water in 24 hours. Depending on the severity of the damage to the flapper it could be more. In your bathroom you have 3 main fixtures: sink, toilet, and tub/shower. Each one of these items can develope leaks, clogs, or even just become out dated. When you need a repair or converting unused space into the bathroom of your needs or wants. We have the expertise to guide you to your best options. Saving you time and money and helping complete a project quickly and correctly.